Good news for Apple iOS users who are using an old iPhone, iPad and iPod Touch devices that is not compatible nor supported latest Apple iOS 7 Firmwares. Now they can Download and Install Apple iOS 7.1, 7.0 Firmware on Unsupported iPhone 3G, iPhone 2G, iPod 2G, iPod 1G Touch Using Whited00r. Whited00r Custom Firmware versions provides full iOS 7.1, 7.0 Firmware features like; all-new iOS 7 Look and Feel, iOS 7 Push Notifications, iOS 7 Multiple Stores for Applications, iOS 7 New and Improved Camera App, iOS 7 Multitasking, iOS 7 Control Center, iOS 7 Siri Voice Control etc. etc. 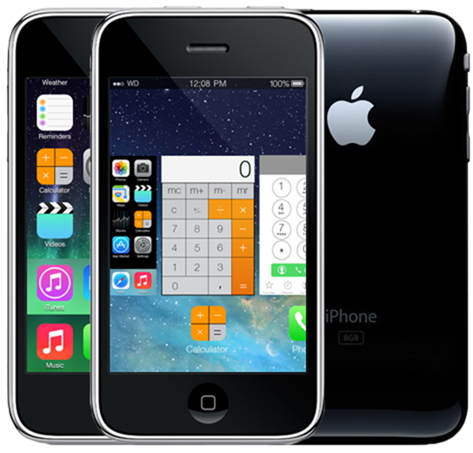 Whited00r Custom Firmware supports Apple iPhone 3G, iPhone 2G, iPod Touch 2G and iPod Touch 1G devices available for Windows and Mac OS X operating systems. Whited00r provides two different versions of iOS 7.1, 7.0 Firmwares for iPhone installation only i.e. Normal and Unlocker. Whited00r firmwares preserve your iPhone 3G baseband and Whited00r Unlocked firmware version works perfectly on iPad Baseband 6.15.00 but users required to downgrade it. Whited00r Normal Firmware Version is available to users who are using factory unlocked devices or running official carrier SIM Card on iPhone 3G and iPhone 2G and if users can activate device via iTunes and don’t required carrier unlock. 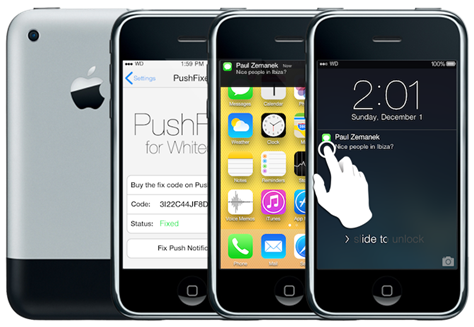 Whited00r Unlocked Firmware Version is available to those users who are required carrier unlock and can't activate device via iTunes as they are not using factory unlocked device or not running official carrier SIM Card on iPhone 3G and iPhone 2G. 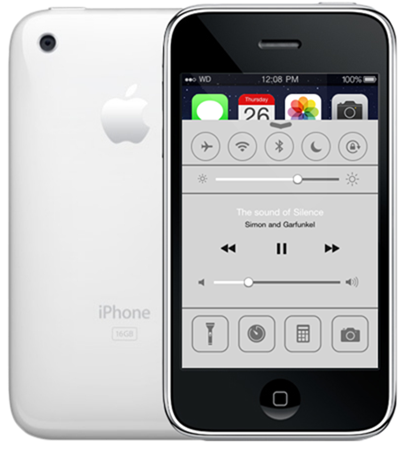 For iPod Touch 2G deivce, Whited00r offers two different firmware versions i.e. MB - PB Series and MC - PC Series. 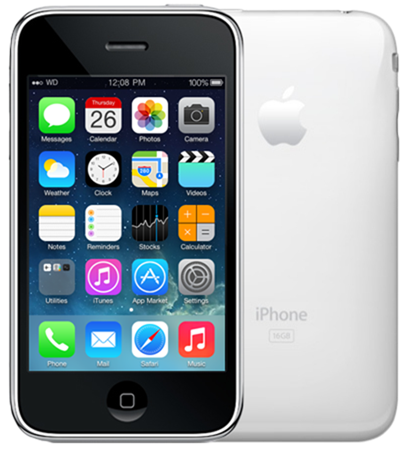 The iPod Touch 2G MC series also referred as the iPod Touch 3G 8GB. If you're not sure about your model correctly; Go to 'Settings' >> 'General' >> 'About' and read the first two characters of the Model code to identify your correct device Model. We suggest users to carefully choose the right version of Whited00r firmware, because with wrong firmware version installation, some features could be dysfunctional and you might have to restore your device again using original firmwares. So let's start the method, guide and tutorial on How to Install Apple iOS 7.1, 7.0 Firmware on Unsupported iPhone and iPod Touch Devices Using Whited00r. 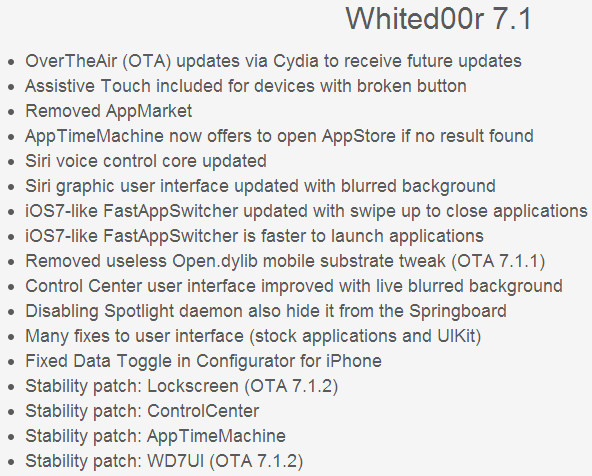 You can read full Changelog and Features of Whited00r 7.1, 7.0 Custom Firmware in below image. NOTE: Installing Whited00r is safe, But TechGlobeX is not responsible nor liable for any damage occurs while following below guide and tutorial. Follow at your own risk! The official Direct Download Links of Whited00r 7.1 Normal and Unlocked firmware version is available below. All required tools for Whited00r 7.1 installation are already included inside the zipped archive. You just need to unzip the compressed folder after download. Follow our below step-by-step guide and tutorial in order to get Whited00r installed on your iPhone and iPod Touch devices correctly. Below is just a basic guide and tutorial but users are also required to follow some optional and extra steps too in order to achieve high customization and best performances. We have already provided additional advanced method, guide and tutorial link in above download section. Please refer and read it too before following below guide and tutorial. Step 1: Download the appropriate Whited00r 7.1 custom firmware version for iPhone and iPod Touch from above links and unzip the compressed archive. Step 2: Prepare your Device: Now, Open Redsn0w Tool and click 'Extra' button and then 'Pwned DFU'. Follow on-screen instructions. After completion of process your device will be in Pwned DFU State with black screen. Step 3: Install Whited00r via iTunes: Now, While holding SHIFT key on your keyboard, Click on Restore Button and select the Whited00r Software Update (.IPSW) from your PC/Laptop. Step 4: Complete the Installation: Now, Reboot your iPhone or iPod Touch device to complete the installation. Now, please don't forget to refer and read the above provided advanced guide in download section. You're done. Congratulations!! Note: For further any help, support and assistance in troubleshooting, Click Here.